The heart portion of the key chain is approximately 1.25" in length. See photo for overall dimensions of the key chains. 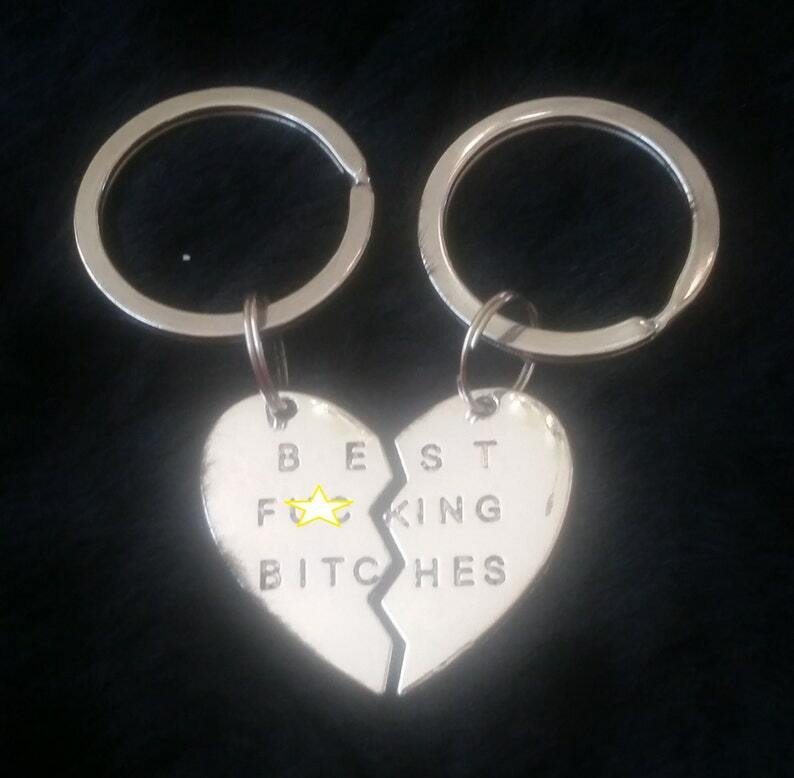 You'll receive the TWO key chains shown in the photograph. To personalize this key chain, shop our sister shop for clip on charms. Ready-to-wear charms are available in hundreds of styles, including initials! Just go to www.foxibelles.com and look at the selection. Don't see what you're looking for? Send us a message! We may have it!